Established in 2016, Cyberm designs, builds, operate and manage information security technology solutions created specifically for customers. Cyberm has highly sought after cyber security related skills ranging from technical certifications, from a myriad of security vendors, to various industry leading information security and risk management related certifications such as ISO, ISC2, SANS, ITIL, COBIT, etc. All services delivered are in accordance with industry best practices and are in alignment with the typical industry standards such as COBIT, ITIL, ISF, ISO, NIST and SANS to name but a few. Collectively Cyberm has hundreds of years of experience in a field that is still in its infancy stage. Customers can be confident they are partnering with cyber security veterans accompanied with the reputation of integrity such a position bestows. We know that one of your biggest challenges is simply determining where to invest your time, effort, and resources. The opportunities for improving efficiency, managing IT risk, and optimizing service delivery are endless. So we can start right there by helping you to identify these opportunities and to choose the ones with the biggest payoff. Unlikely events do happen and the likely ones can be just as disruptive. Whether your immediate need is security management or business continuity planning. Chances are it is at the top of your list, we can help with both. The Cyberm Cyber Risk Management Blueprint is a fast-track approach for creating a secure organization—from your people and processes to your data and servers. It represents what has been learned about security from thousands of companies across the globe. Your business needs to build and maintain an effective and flexible IT infrastructure, deliver the level of service demanded by your users, and manage the increasing business and technology risks of today’s connected world. Cyberm’s business has become focused on managing those risks and finding the opportunities inherent in making the right decisions at the right time. Each area of our expertise has a portfolio of defined services and deliverables, as well as custom offerings, to address each of your challenges. Count on advice, implementation assistance, experts in residence, and managed services that can assist you to assess, design, transform, and operate your IT operations. Cyberm Cyber Risk Management offers the right level of service and support to augment your in-house capabilities and guide you through the rapid evolutions of technological resiliency. 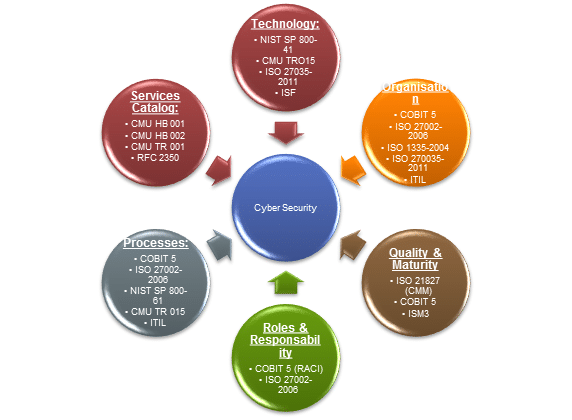 In order to effectively address the risks faced by organizations Cyberm makes a clear distinction between technical security experts who are responsible for the implementation and management of technical controls and cyber risk consultants who are responsible for designing and managing the relevant business processes to achieve and maintain cyber resiliency by appointing Cyber Risk Engineers and Cyber Risk Advisors respectively. Our Services adheres to a full lifecycle methodology to effectively meet the goals and objectives of our customers. At the beginning of each project, Cyberm Consultants clearly identify the organizations business objectives, then design and implement a solution to meet those cyber security objectives. Once a solution is deployed, Cyberm Consultants can perform regular monitoring to ensure continuous uptime, optimal performance of systems or procedural controls. At the conclusion of the engagement the organization has a fully functioning solution, optimised and integrated with current operational teams and processes. You also have the required documentation and operational guides to manage and enhance the solution based on extensive knowledge transfer from Cyberm Risk Management. In the event that the organization lacks the resources or capabilities to manage the solution, Cyberm offers Operational and Residency Services for certain technology and regulatory areas. Operational Services enable enterprises to outsource key IT functions to seasoned experts under customised, guaranteed SLAs. These services can be delivered onsite and/or remotely. Residency Services are flexible offerings that support routine, critical, or executive-level activities and are designed to augment existing staff with onsite consultants. These experienced consultants provide expertise and support in the form of knowledge transfer, establishment of best practices, and dedicated, full-time management of the solution.